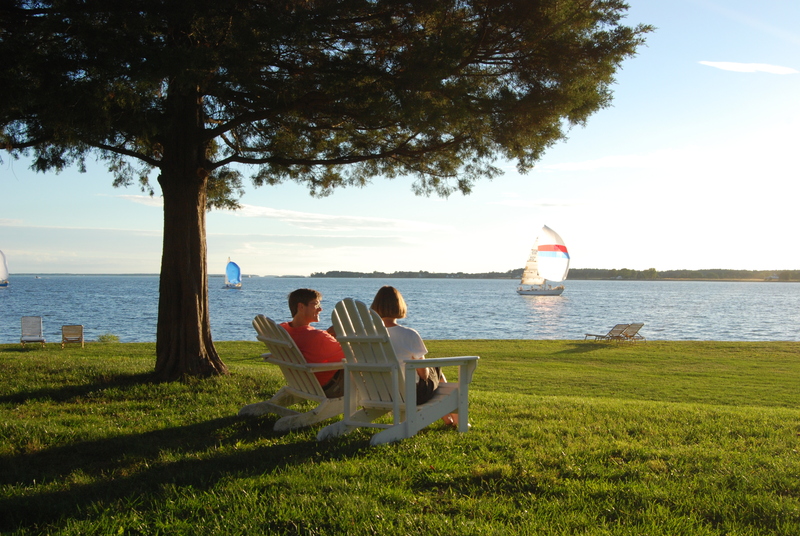 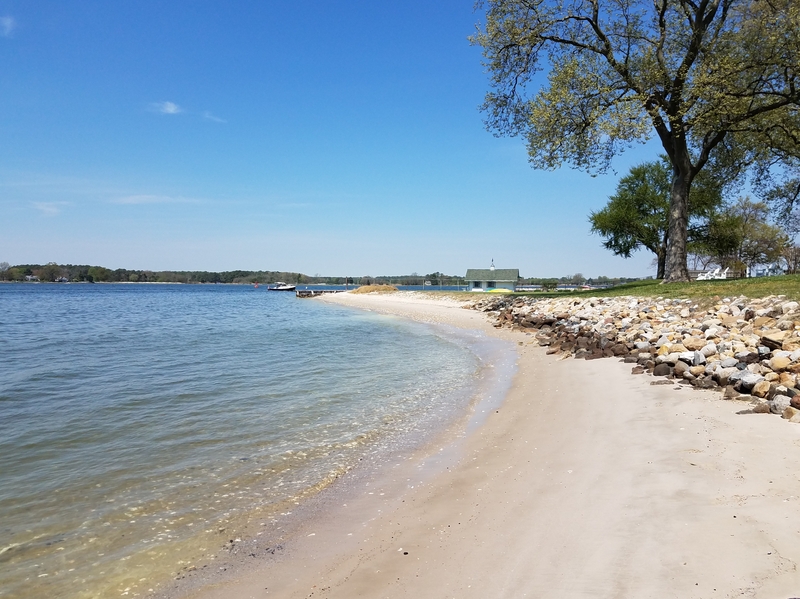 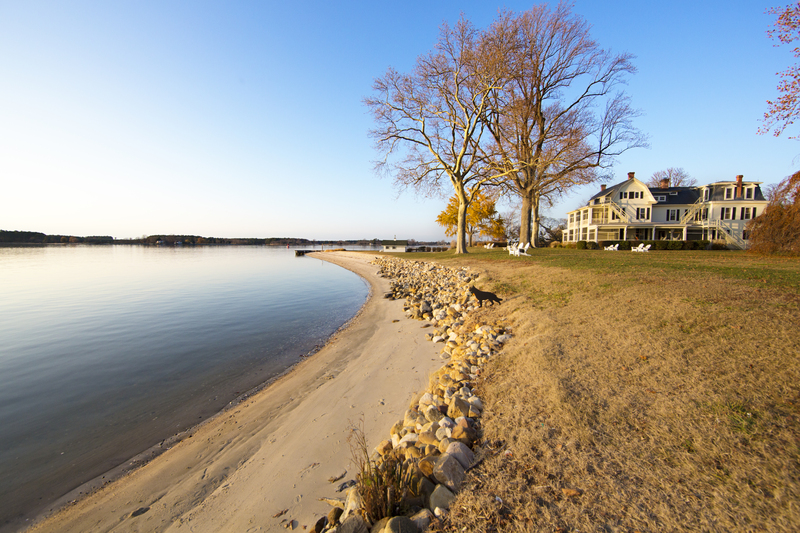 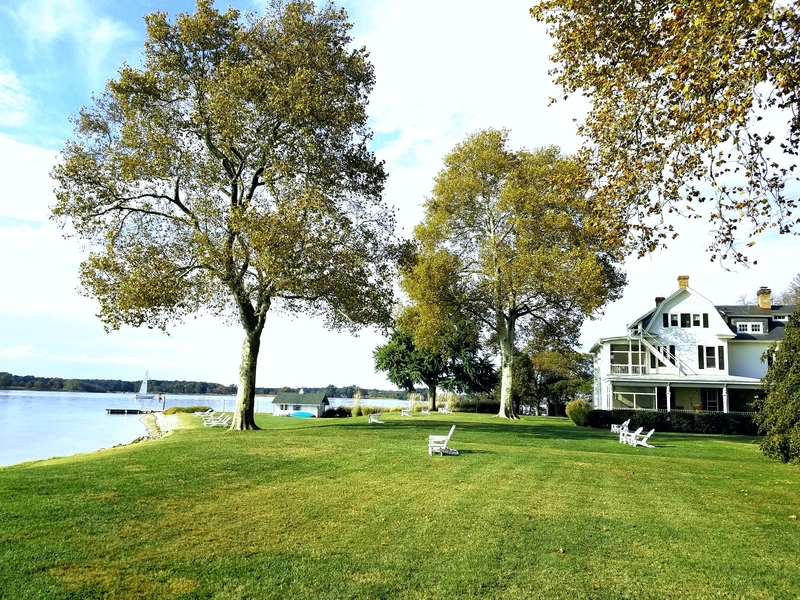 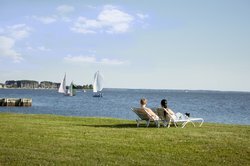 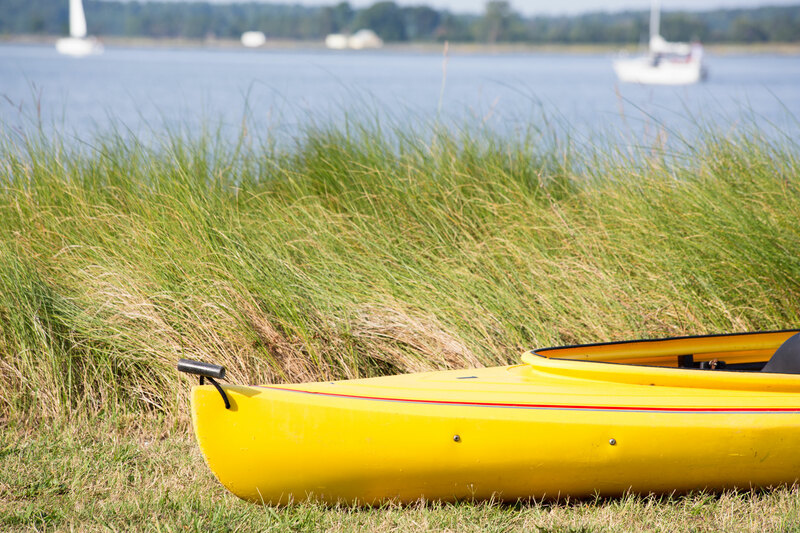 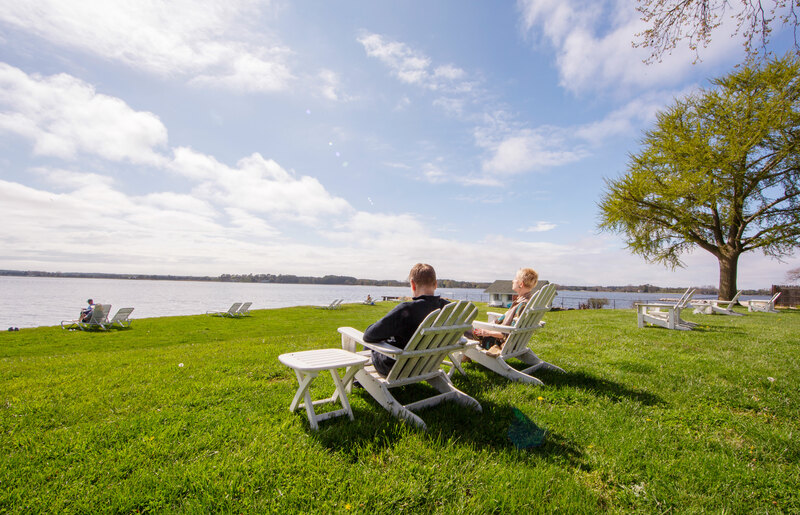 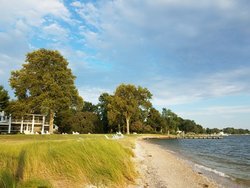 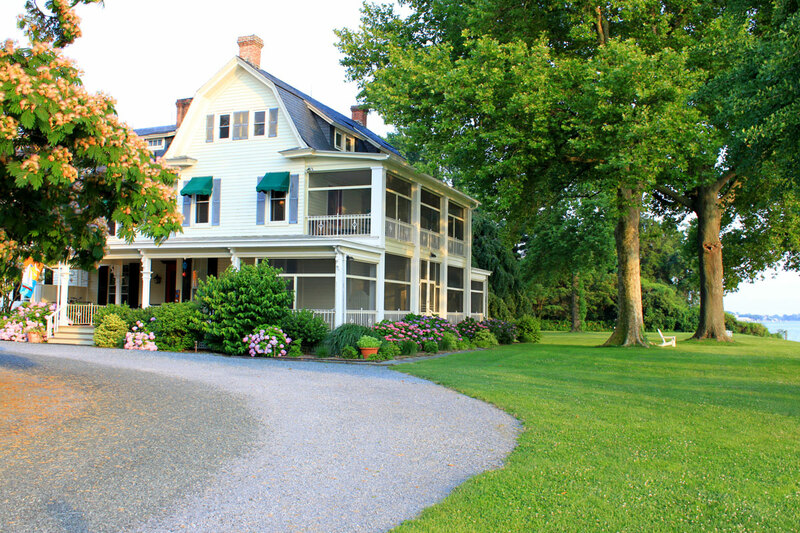 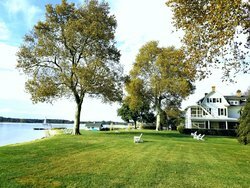 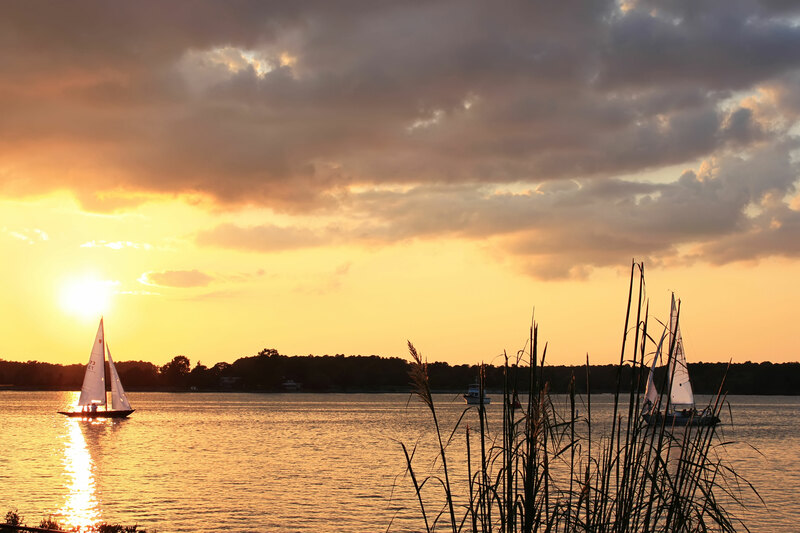 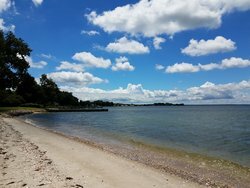 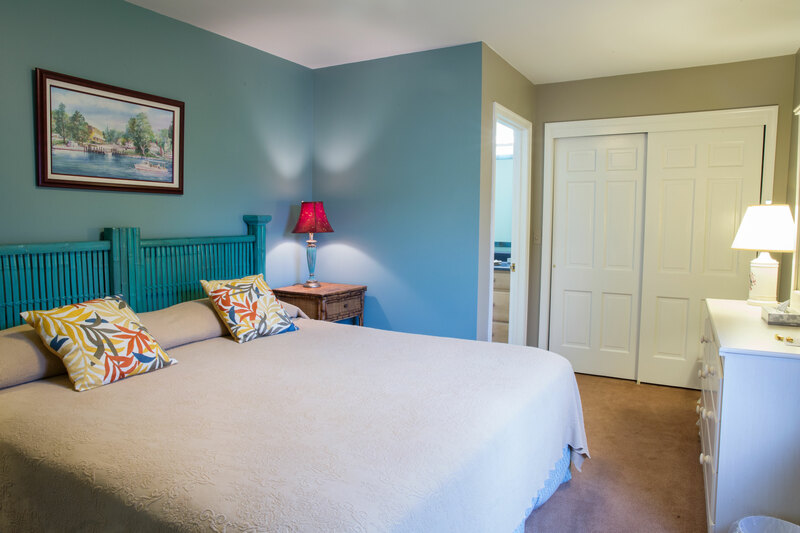 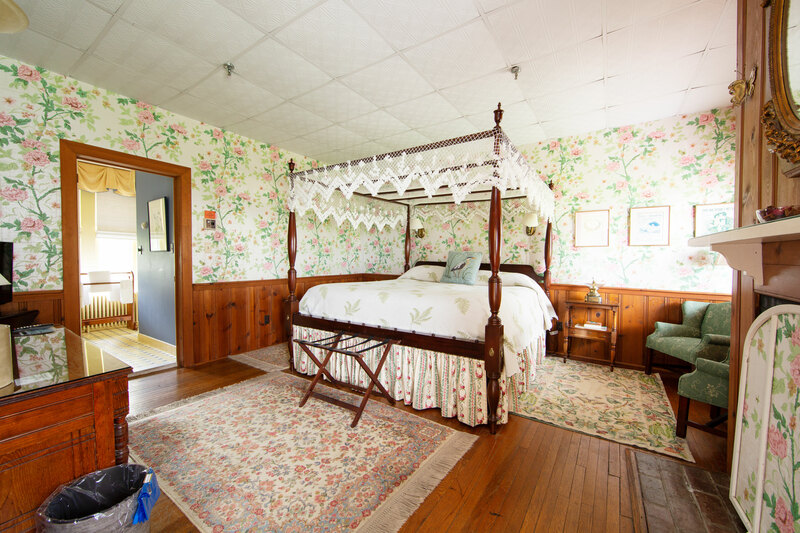 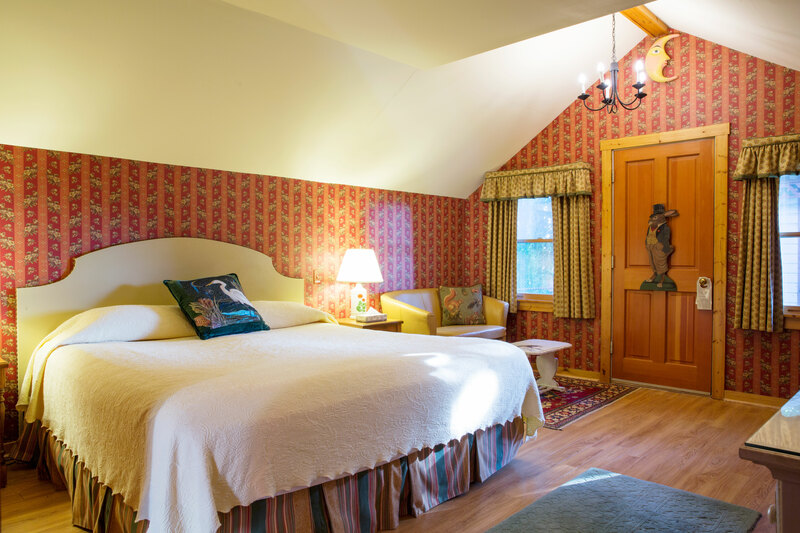 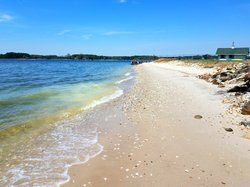 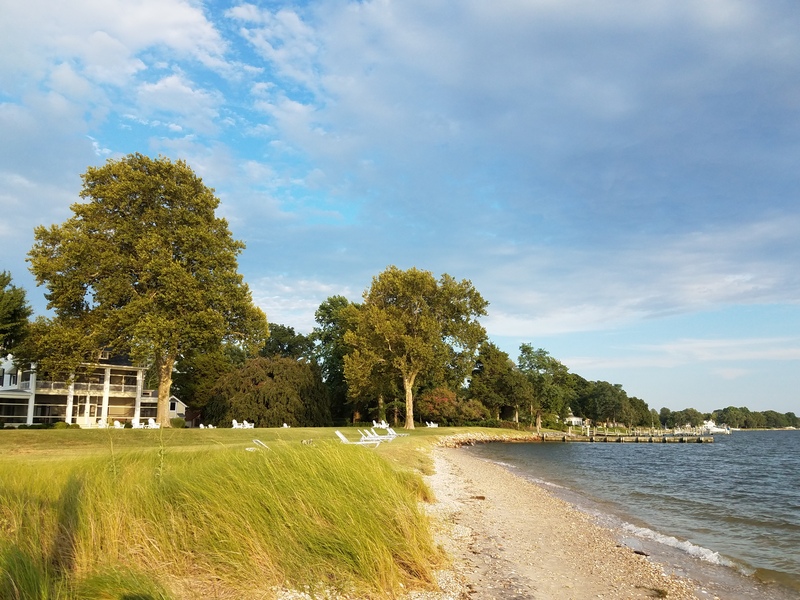 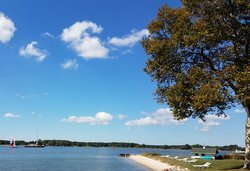 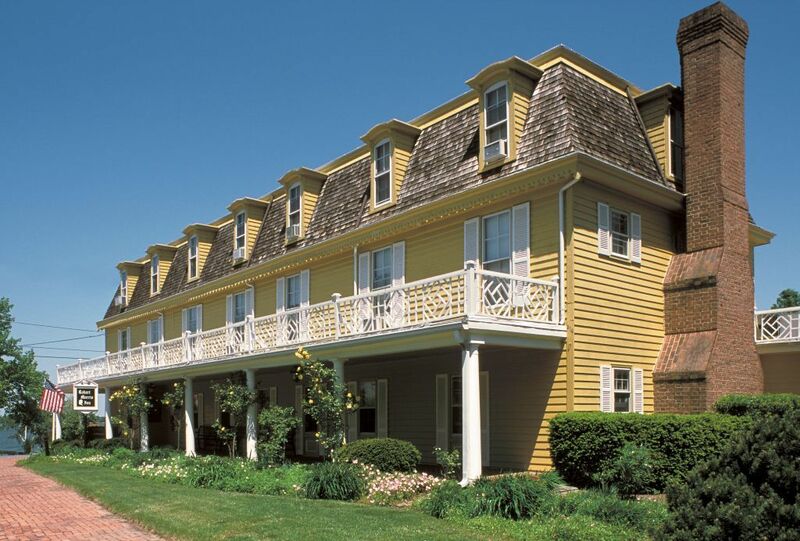 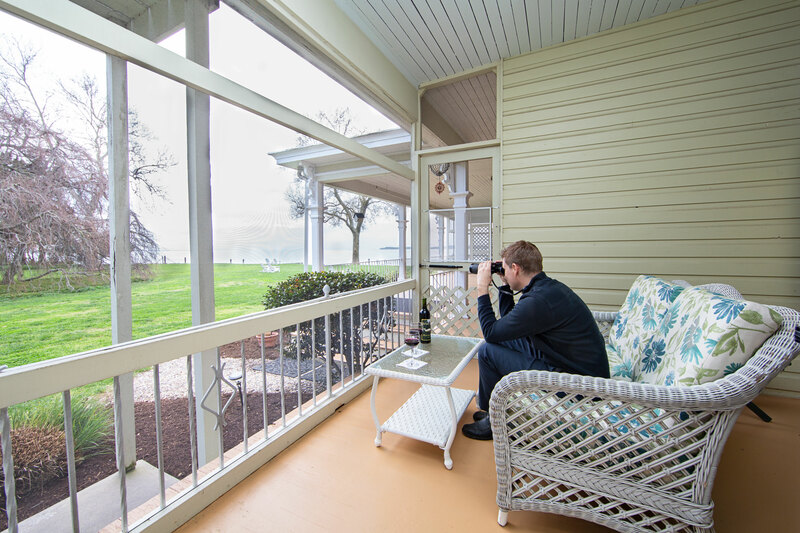 Sandaway Waterfront Lodging invites you for a romantic stay at our charming B&B offering gorgeous views of the Chesapeake Bay and a private sandy beach meant for you. Enjoy great views from your private porch. 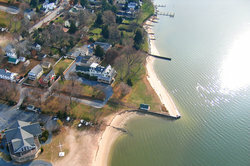 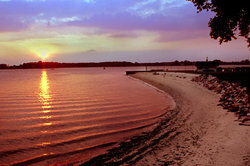 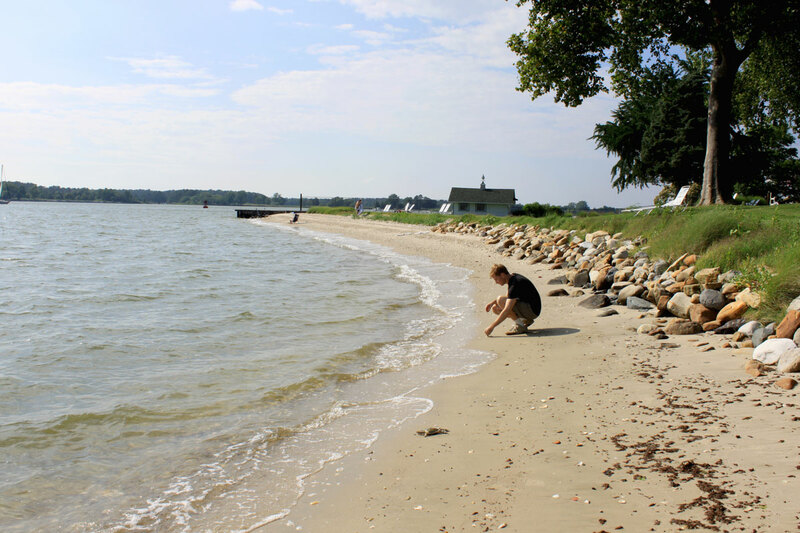 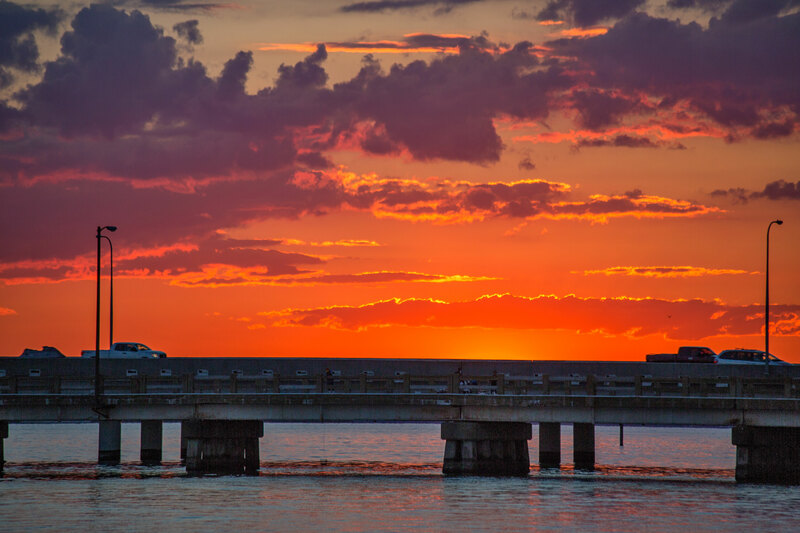 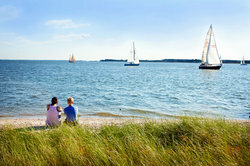 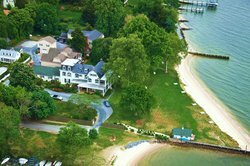 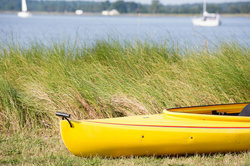 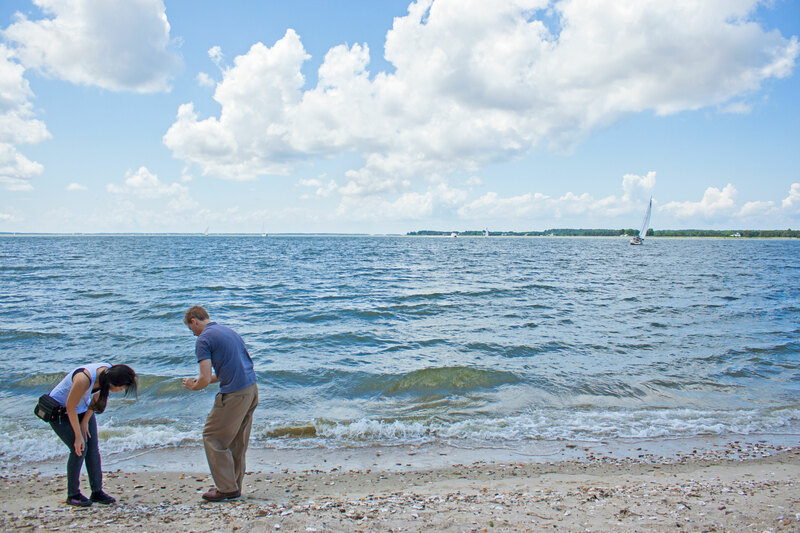 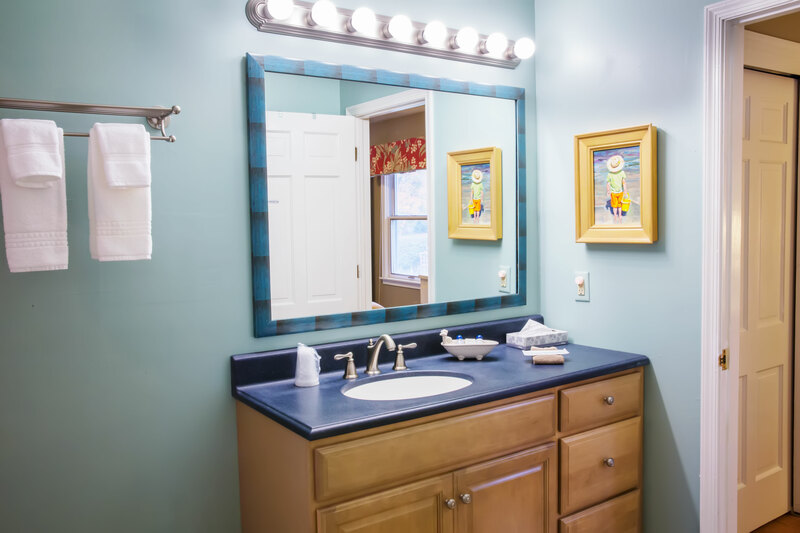 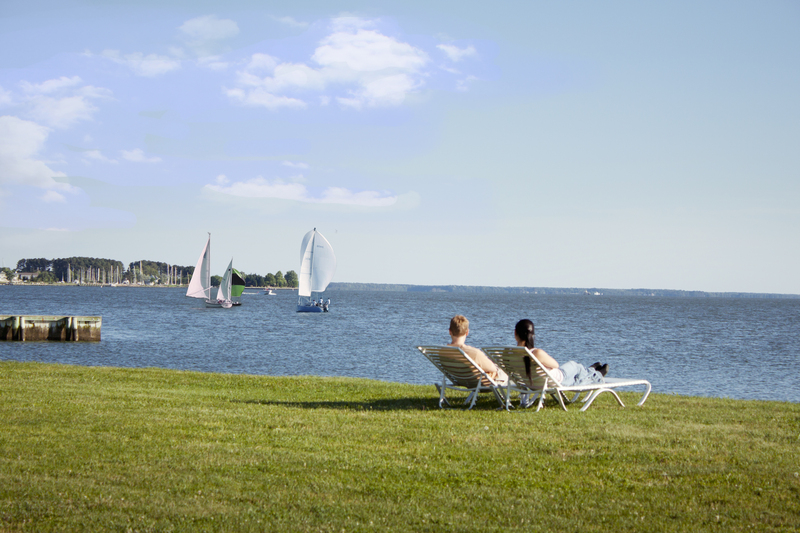 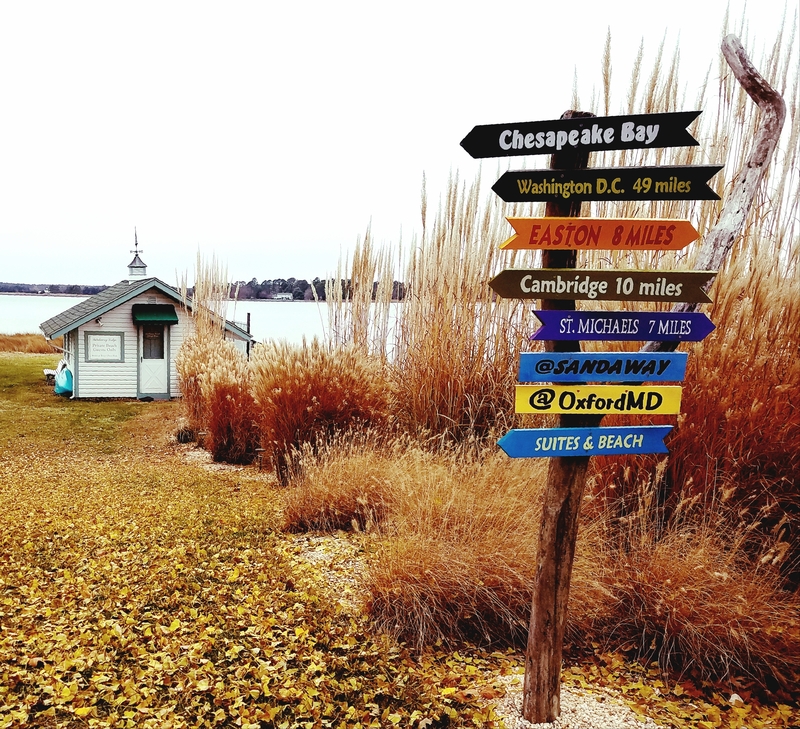 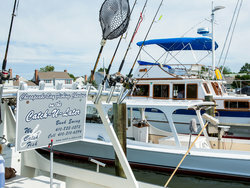 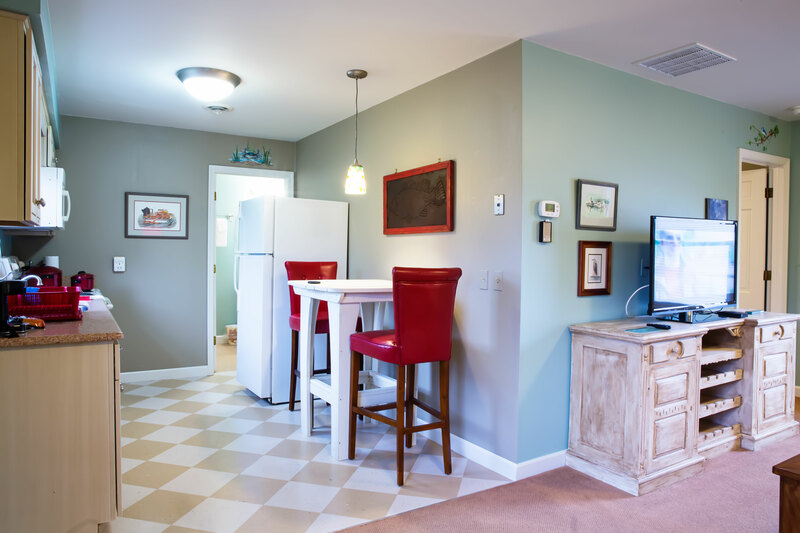 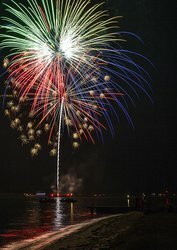 Sandaway Suites & Beach is centrally located in the Chesapeake Bay region. 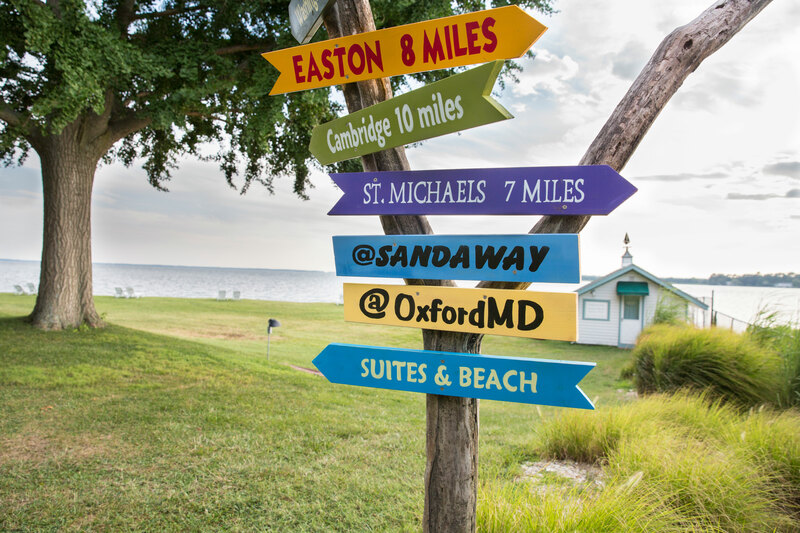 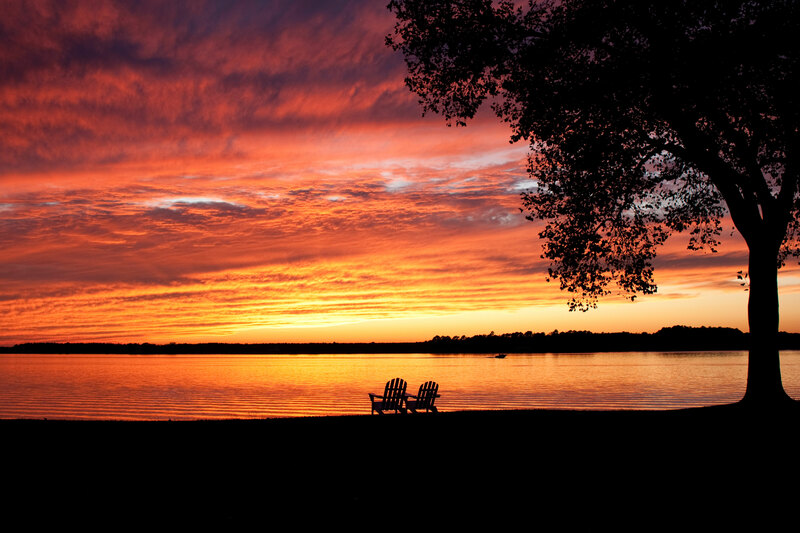 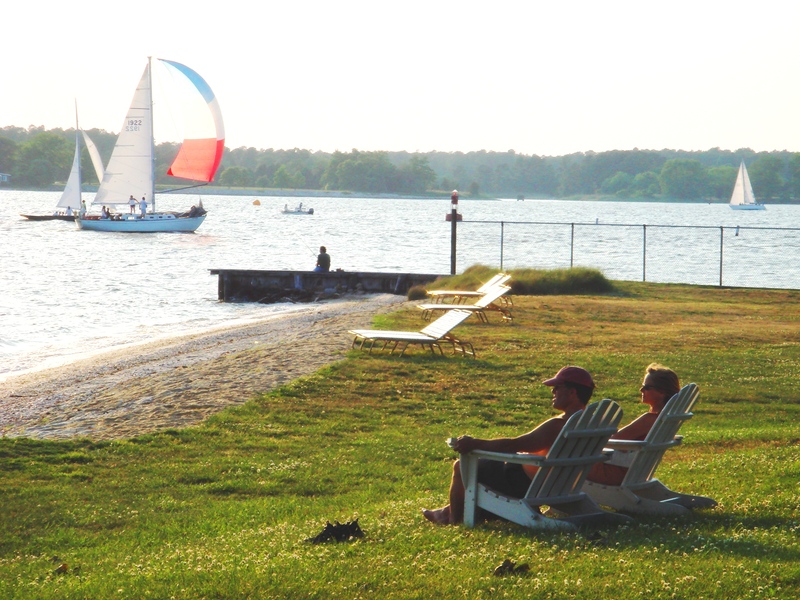 Relax and unwind while embracing the outdoors at Sandaway. 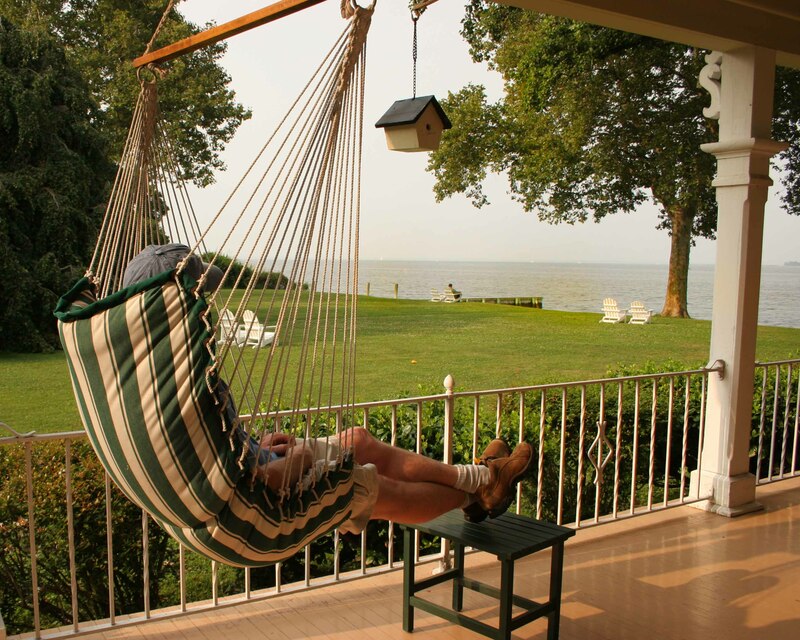 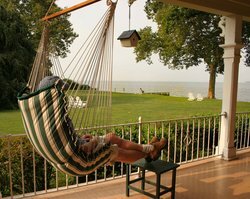 Lounge outside, while taking in the scenic views of Chesapeake Bay, from the comfort of our swinging hammocks on our patio. 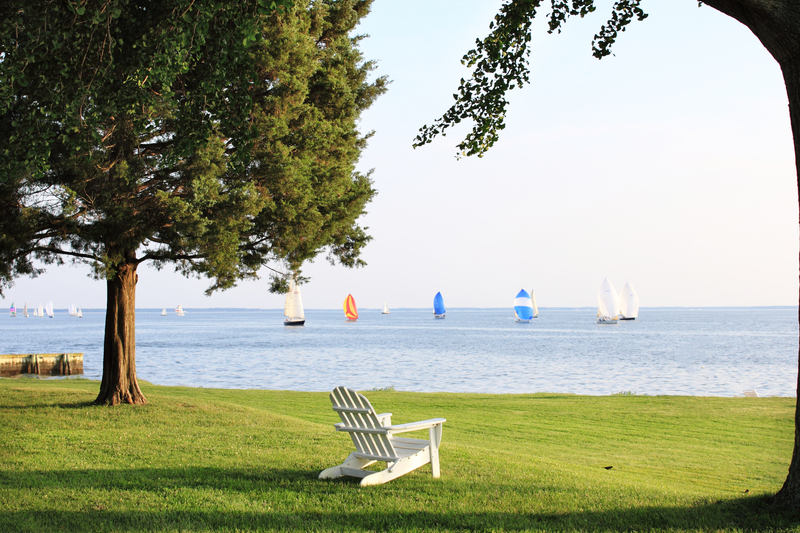 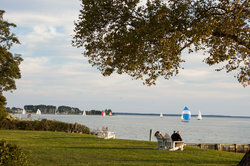 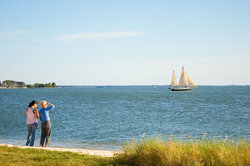 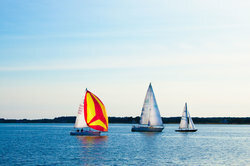 Watch sailboats come into port from the Chesapeake Bay. 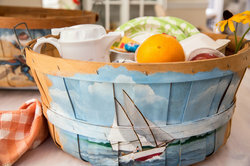 Our breakfast basket will deliver the best morning surprises featuring local farmers market ingredients. 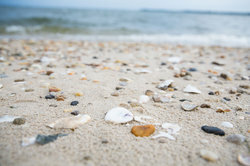 Many hotel guests enjoy looking for sea glass at Sandaway Suites & Beach. Our gift shop is home to well-appointed Lollia products for a relaxing in-room spa experience. 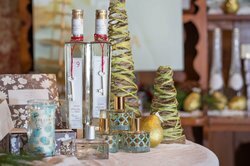 Splurge on luxurious bath and body products, from Lollia, at our gift shop located in our welcome wing. 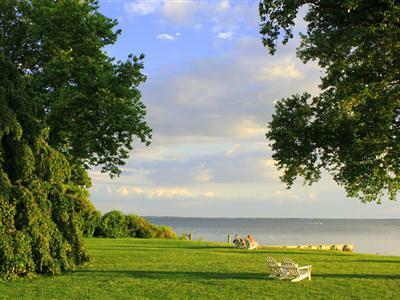 Sandaway has many beautiful shade trees on the lawn by the beach. Featuring complimentary snacks and treats, as well as British Tea, our beach house sitting area is the perfect spot for unwinding. 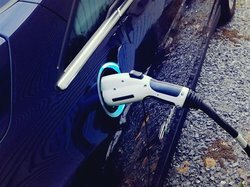 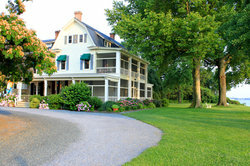 Complimentary electric vehicle charging stations for Sandaway hotel B&B guests. 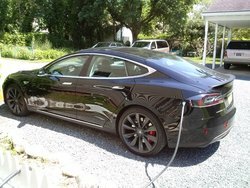 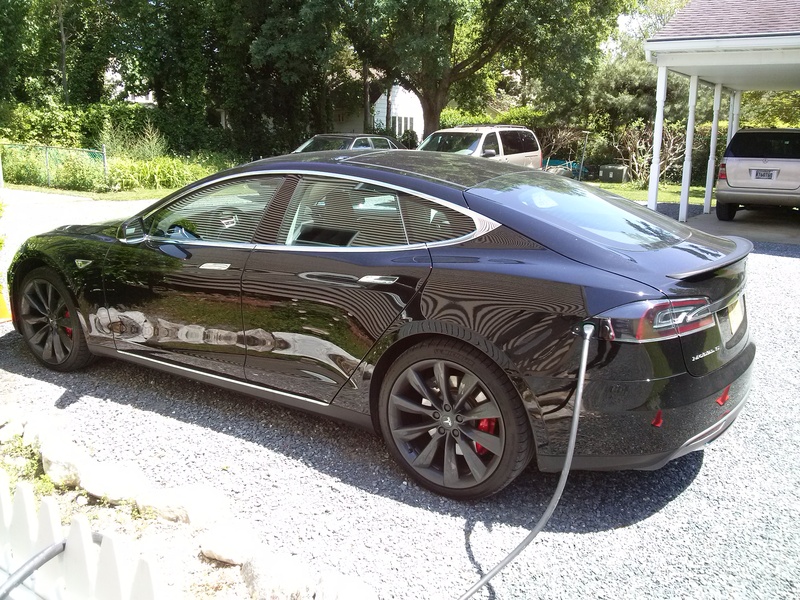 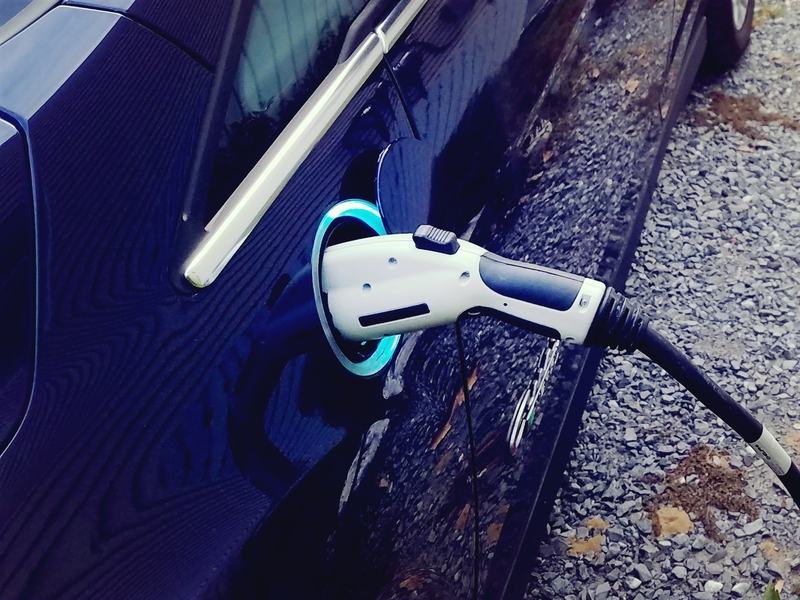 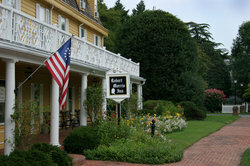 Drive to the Eastern Shore of Maryland and charge your Tesla as our hotel guest. 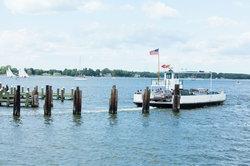 The first Oxford-Bellevue Ferry began operations in 1683. 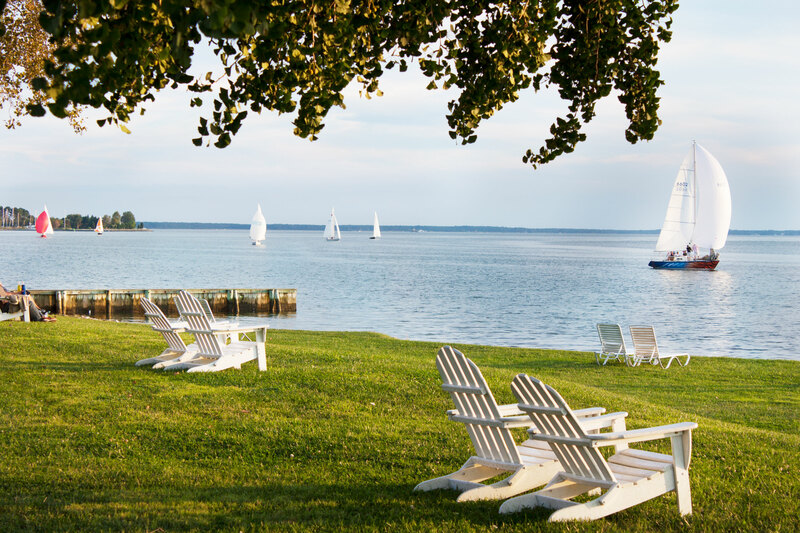 Offering the best shopping, dining, and fun, visit the local towns of St. Michaels, Easton, and Cambridge for days involving golf, nature parks, museums, galleries, wineries, and more. 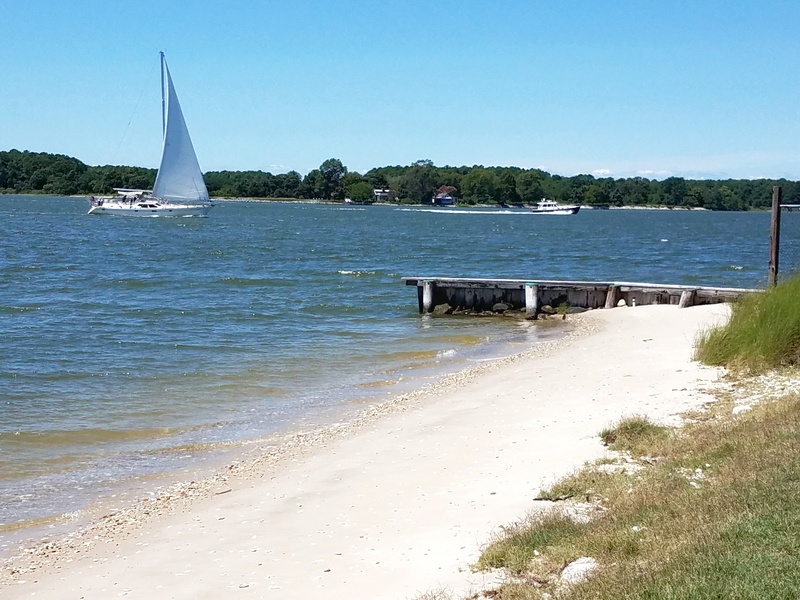 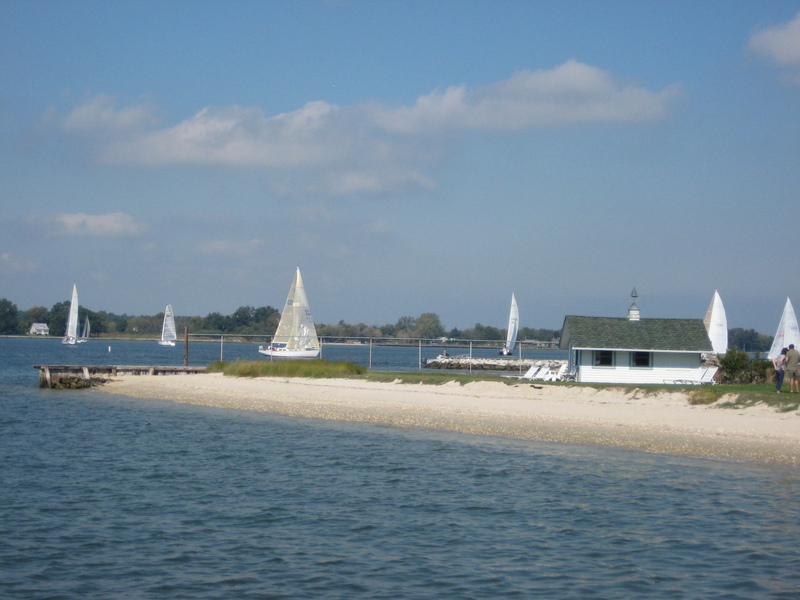 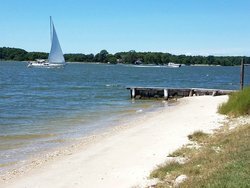 Take the Oxford-Bellevue Ferry to reach St. Michaels, where you can receive 10% off Selina Sailboat Cruises for being a guest of Sandaway Suites & Beach. 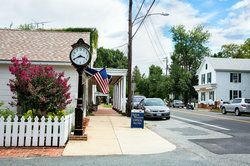 Walk to shops in Oxford, MD. 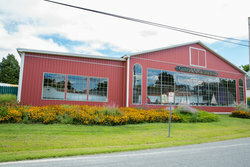 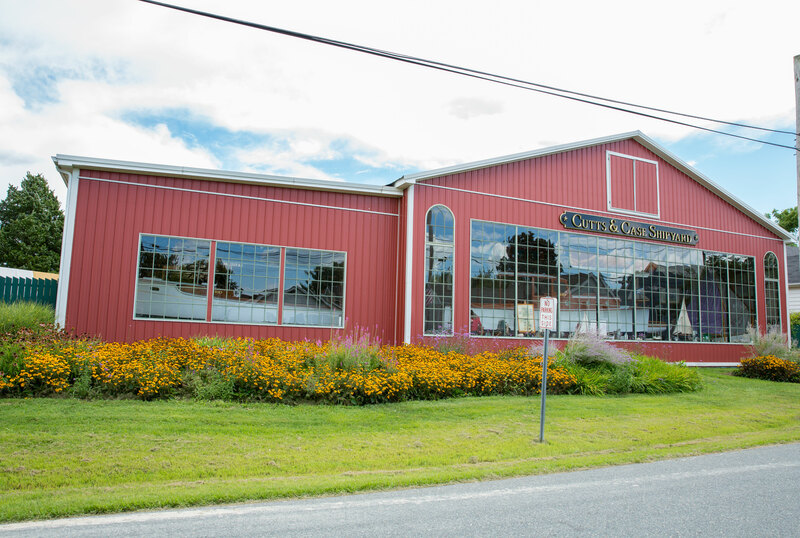 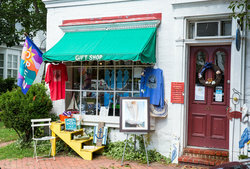 Just a short drive away are St. Michaels, Easton, and Cambridge shopping districts. 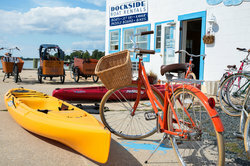 Have water sport and bike rentals delivered to Sandaway Suites & Beach to enhance your hotel stay. 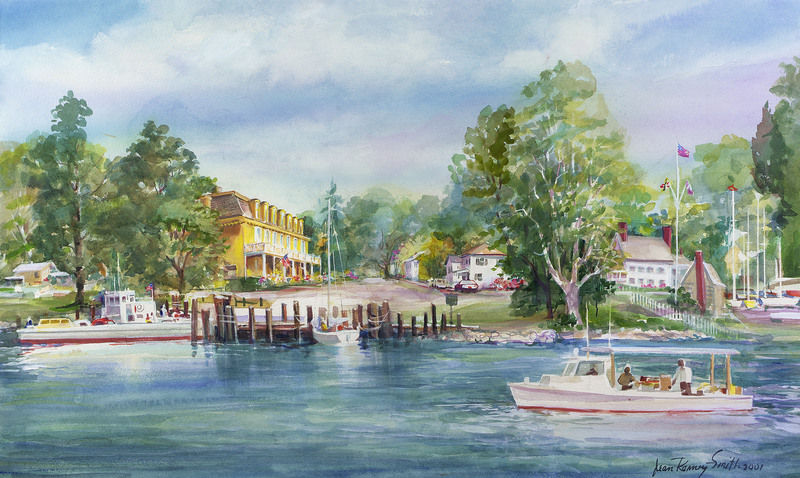 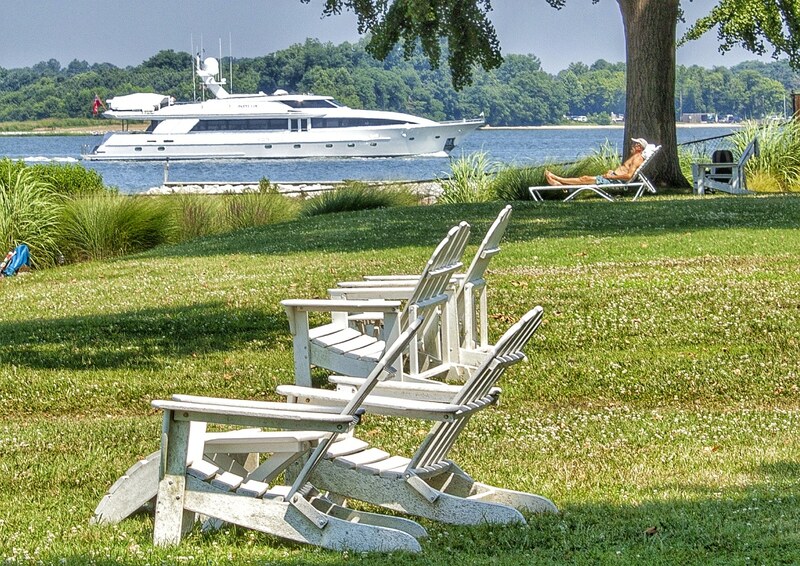 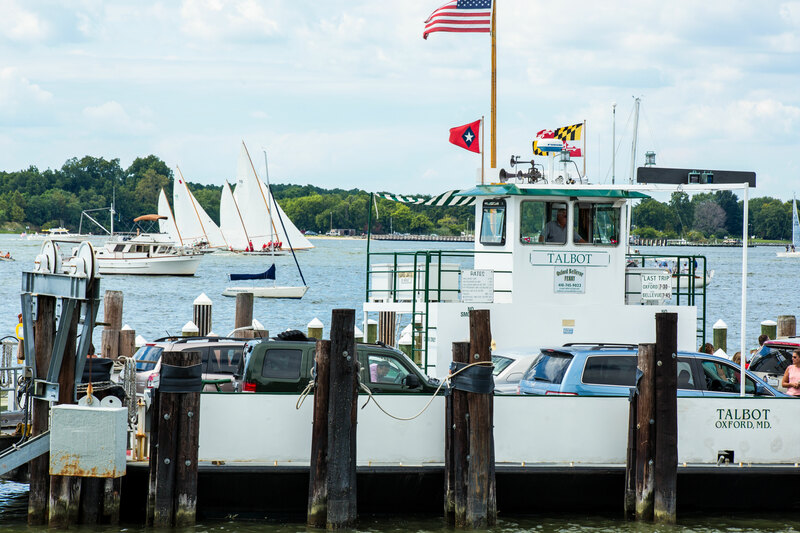 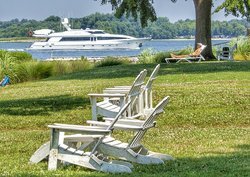 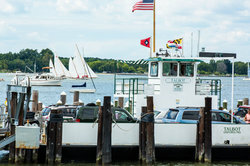 When boating in the Chesapeake Bay discover the charming Port of Oxford, MD. 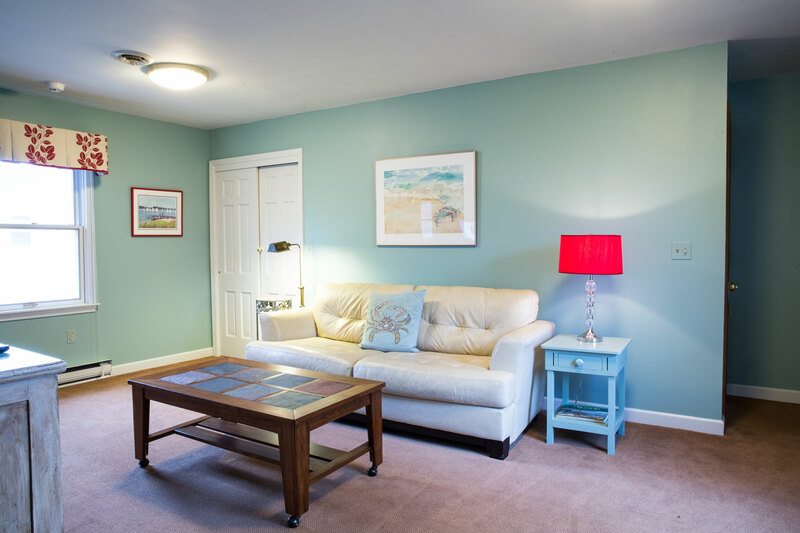 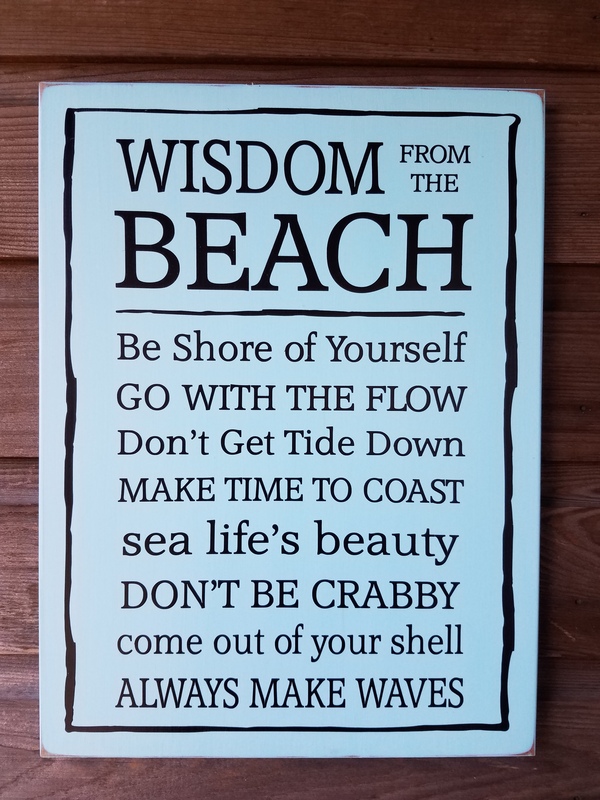 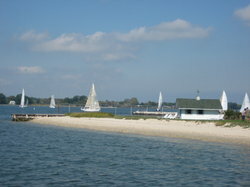 We also promote catch and release fishing from Sandaway's jetty next to the boathouse sitting room. 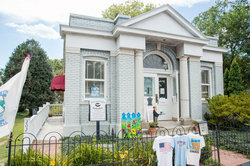 Mystery Loves Company bookstore is located in the historic bank building. 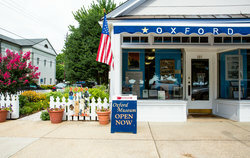 The Oxford Museum is located across from the waterfront park. 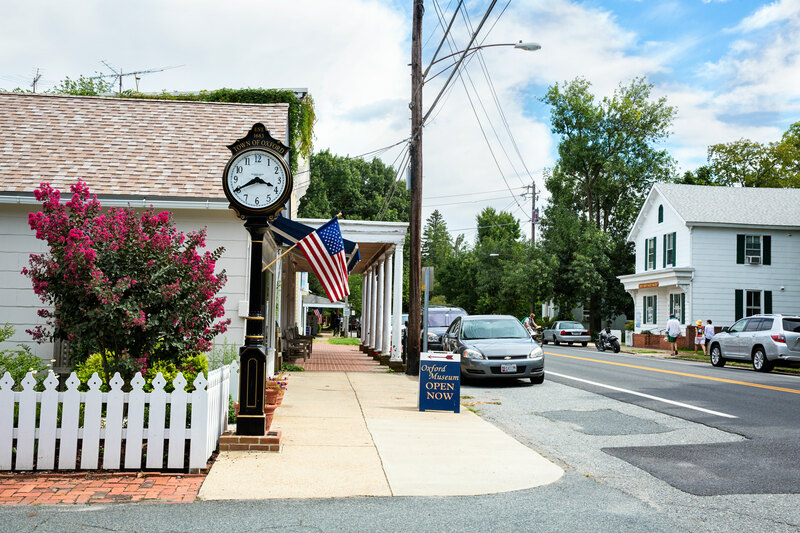 Historic Salter’s Tavern & 4 more Restaurants in Oxford, MD. Delectable dishes for all meals greet you at Historic Salter’s Tavern. Famous Maryland crab cakes & Chesapeake Bay seafood are close by. Only one block away from Sandaway Suites & Beach, the Historic Salter's Tavern invites you for breakfast, lunch, and dinner. 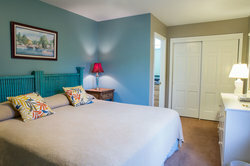 Sandaway Suites & Beach is located close to the National Parks. 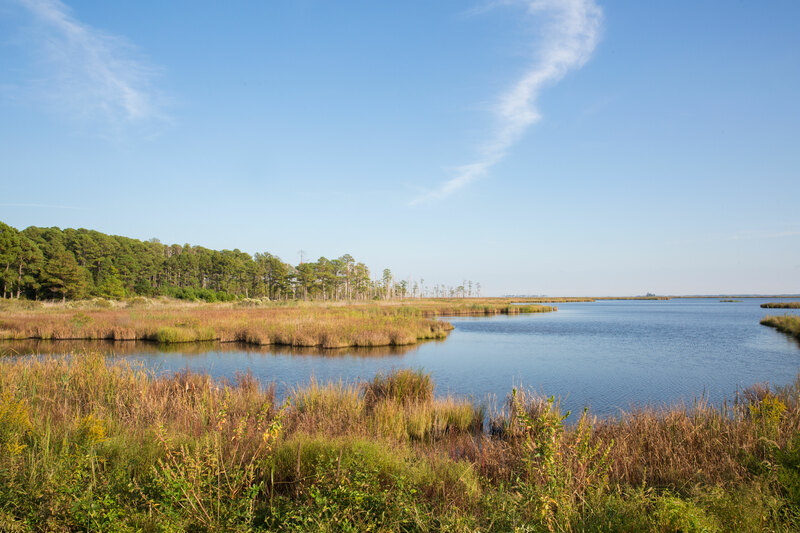 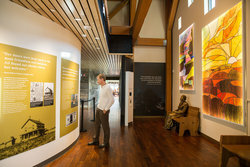 The self guided driving tour is recommended at Blackwater National Wildlife Refuge. 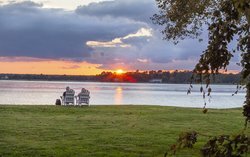 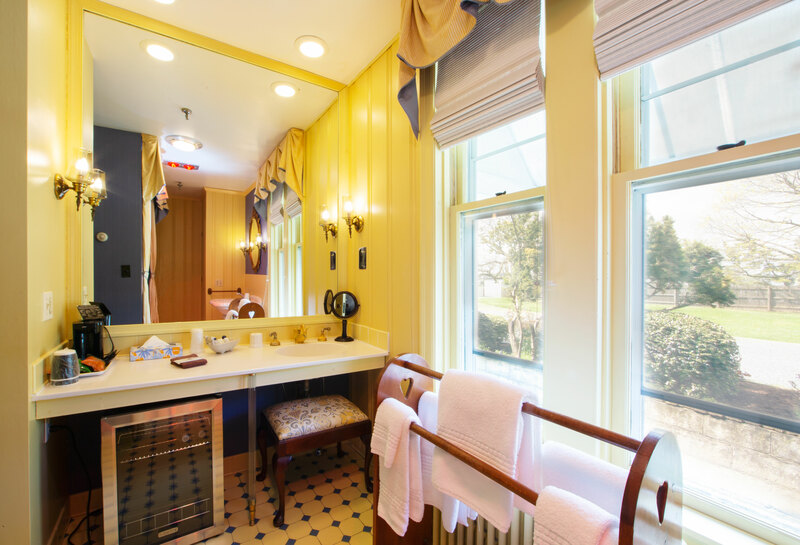 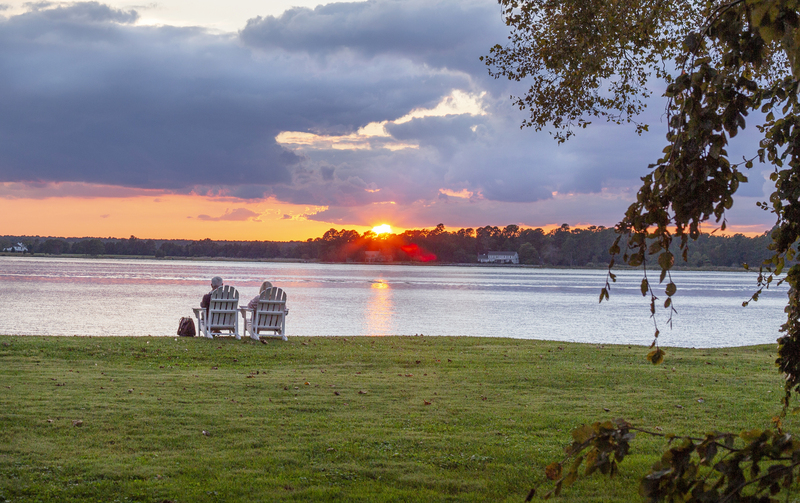 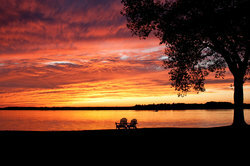 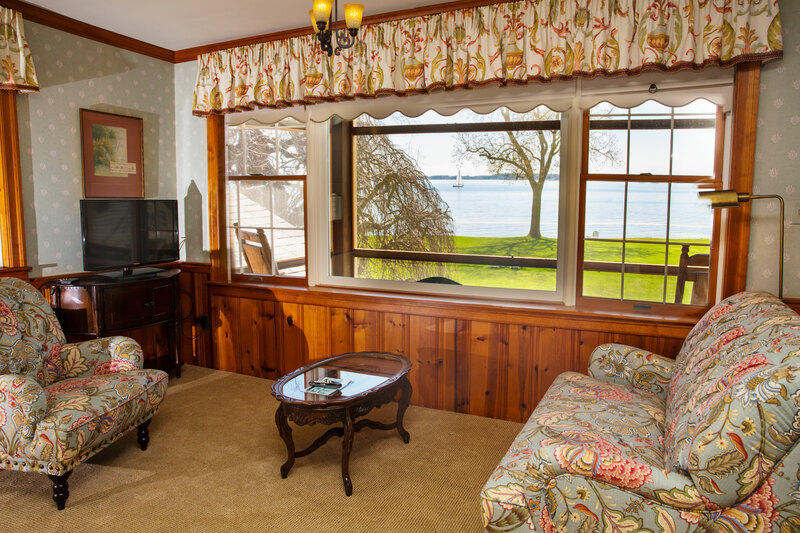 Experience a unique romantic experience in our Deluxe Waterfront & Porch Suite where you and your significant other can gaze in awe at the Oxford waterfront or catch a sunset from your king bed, sitting area, or private screened porch. 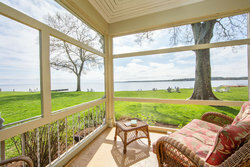 Relax looking over the waterfront lawn with side water views. 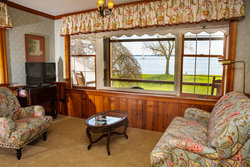 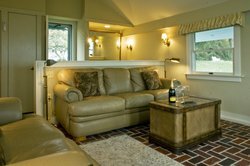 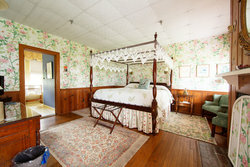 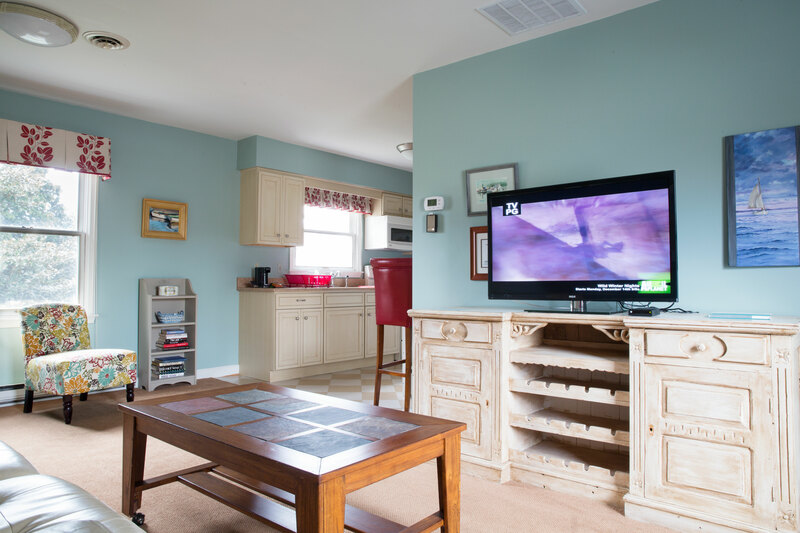 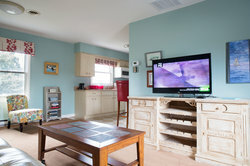 Water View Sandaway Suite also has a sitting are with cable TV and decorative fireplace. 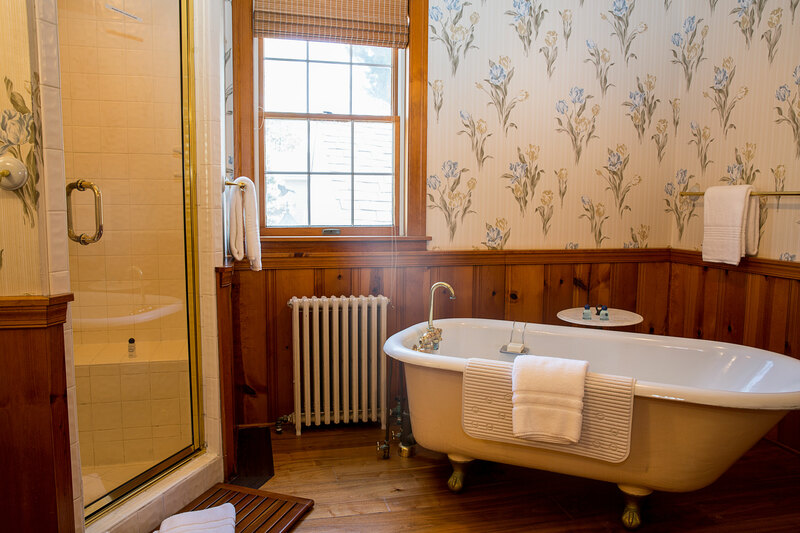 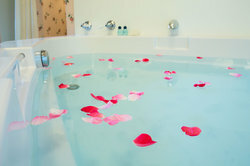 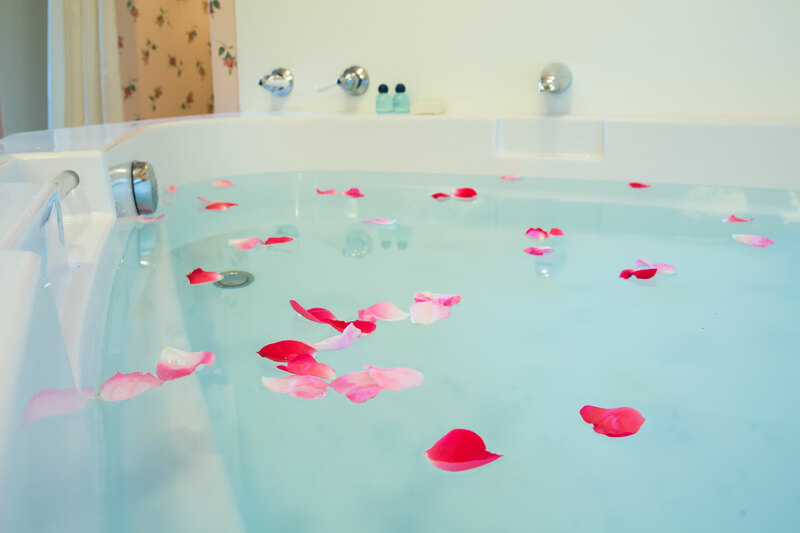 Enjoy your soaking tub for two with shower. 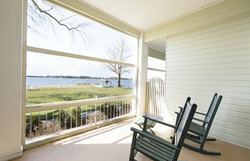 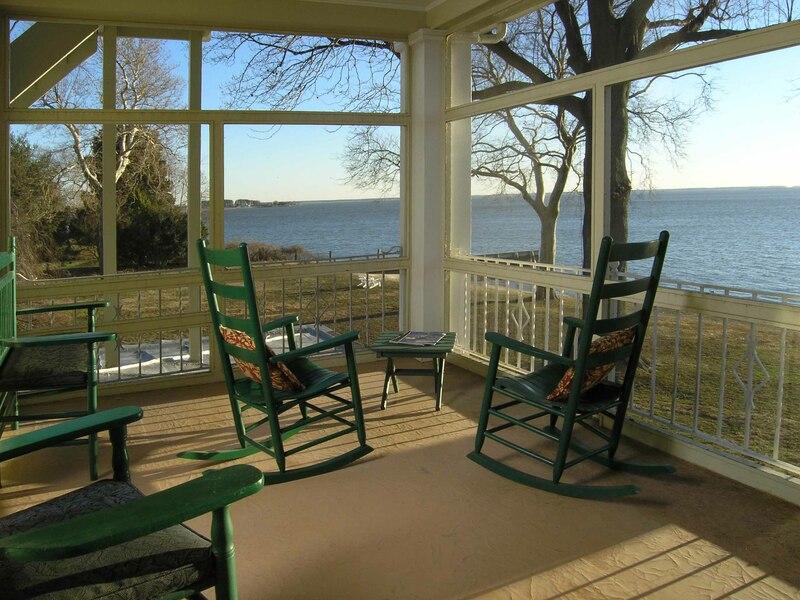 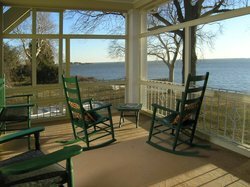 With your own private screened porch in your Beach View King & Porch room admire some of the best views in Oxford, with both the Choptank and Tred Avon Rivers flowing in front of your rooms. 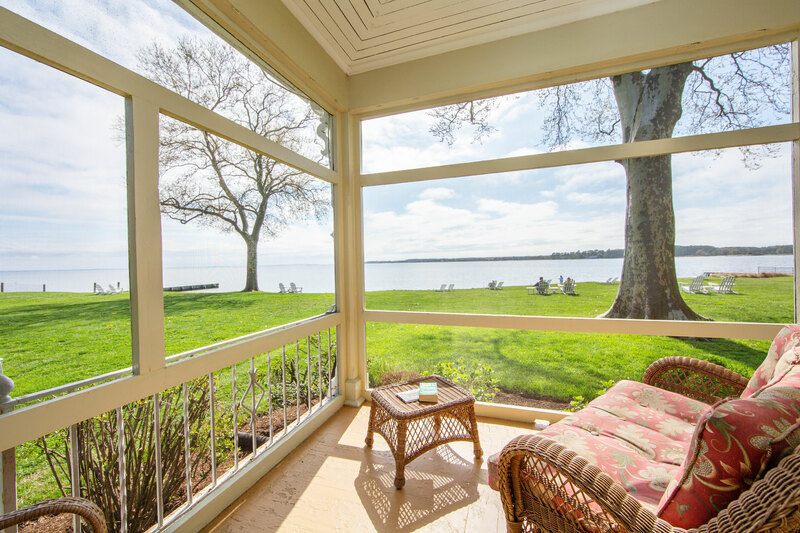 Enjoy the opportunity to kick back and unwind on your private screened porch in our Waterfront Queen & Porch room. 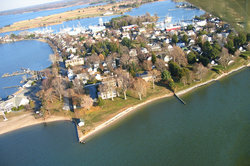 Oxford, Maryland was founded in 1683 and is one of the oldest towns along the Chesapeake Bay. 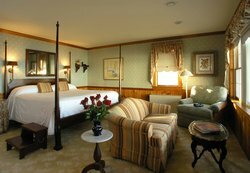 Our hospitality and service is first-rate. 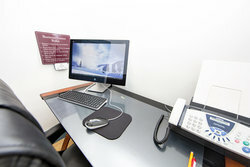 Proud Member of Select Registry. 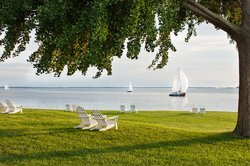 As a recipient of the 2018 TripAdvisor Certificate of Excellence Award and a member of the Select Registry – Distinguished Inns of North America, you will be in good hands here at Sandaway Suites & Beach. Oxford, MD is a Scenic Peninsula. 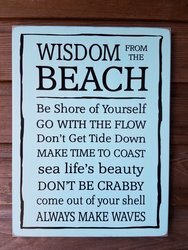 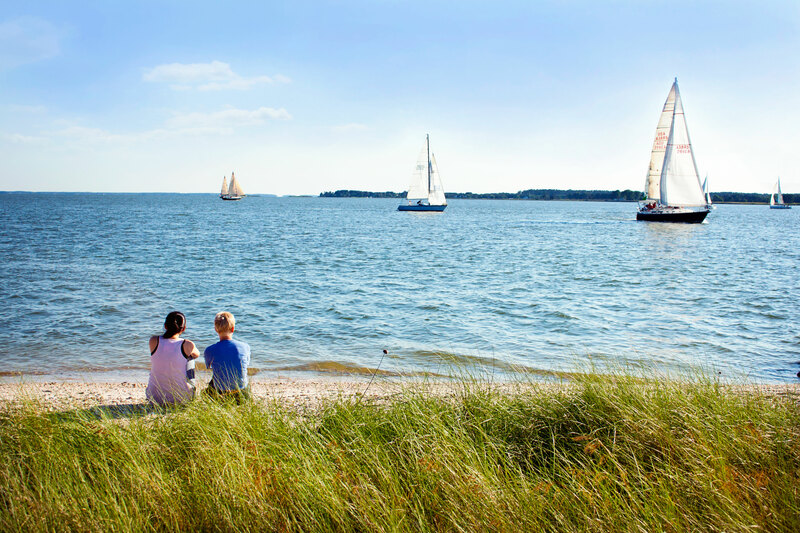 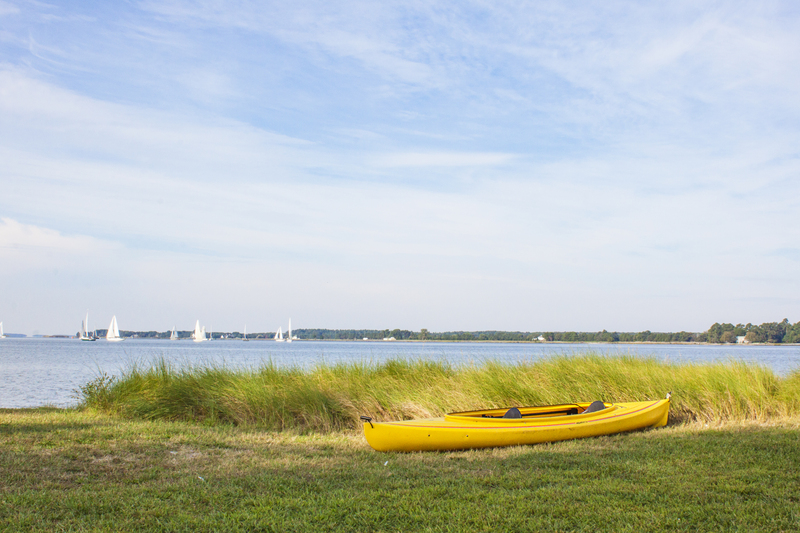 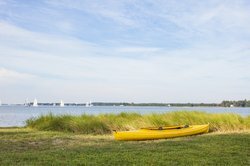 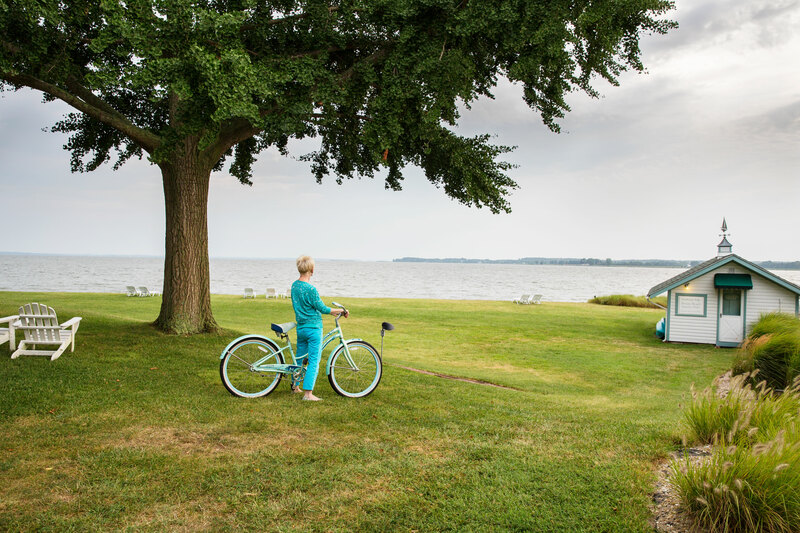 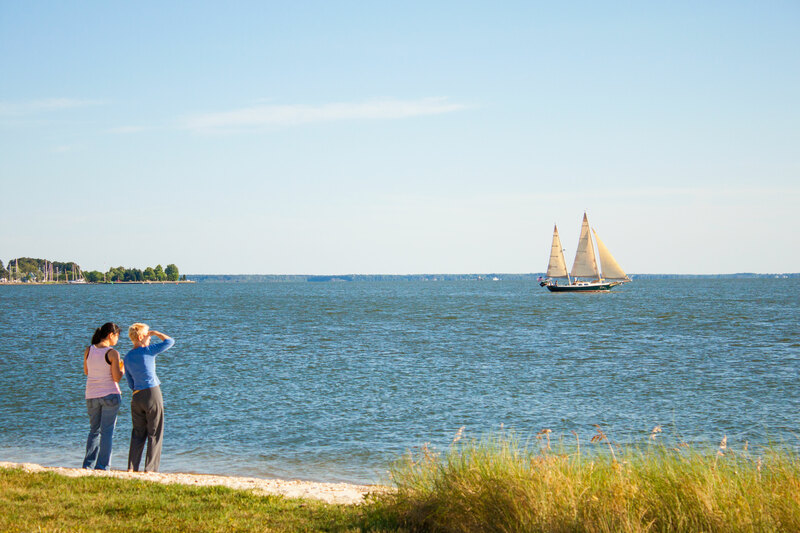 Enjoy all the Chesapeake Bay has to offer. Filled with wonderful shops, restaurants, art galleries, and museums, the towns of Oxford, St. Michaels, Easton, and Cambridge are close by for fun, dining, and shopping. With Friday Evening Boat Races and the option of boating with Dockside Boat Rentals, thrilling sailing adventures are literally in your backyard. 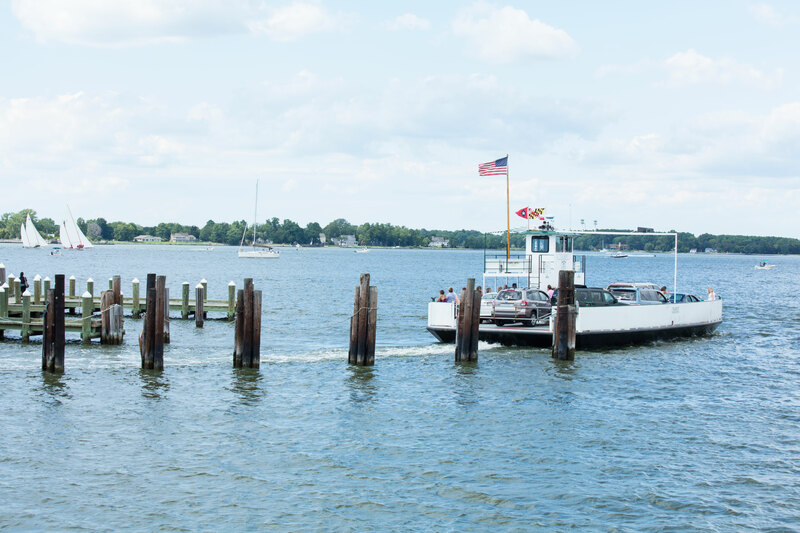 Take a car ferry short-cut. 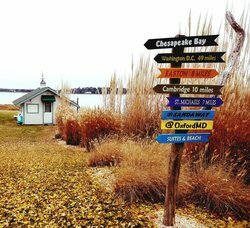 St. Michaels is just 7 miles from the other side. The Oxford Library is filled with Eastern Shore of Maryland history. 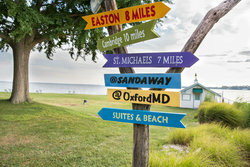 From Sandaway you walk to Oxford's five restaurants. 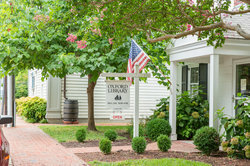 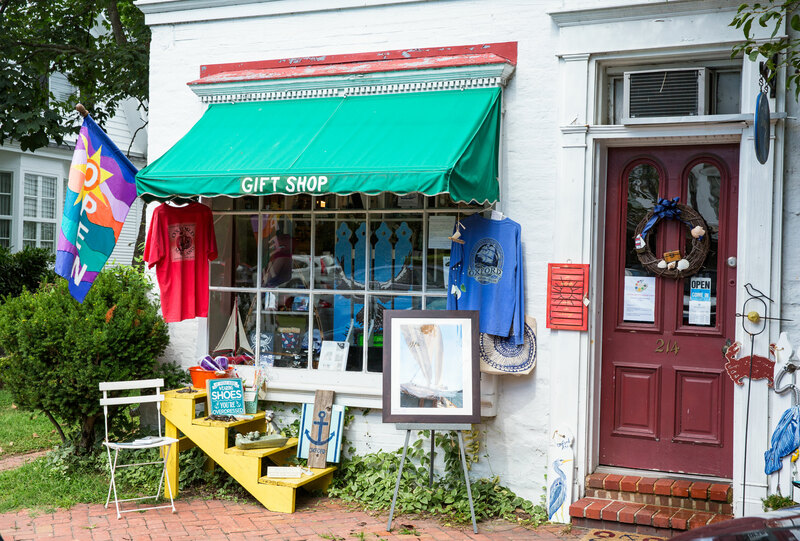 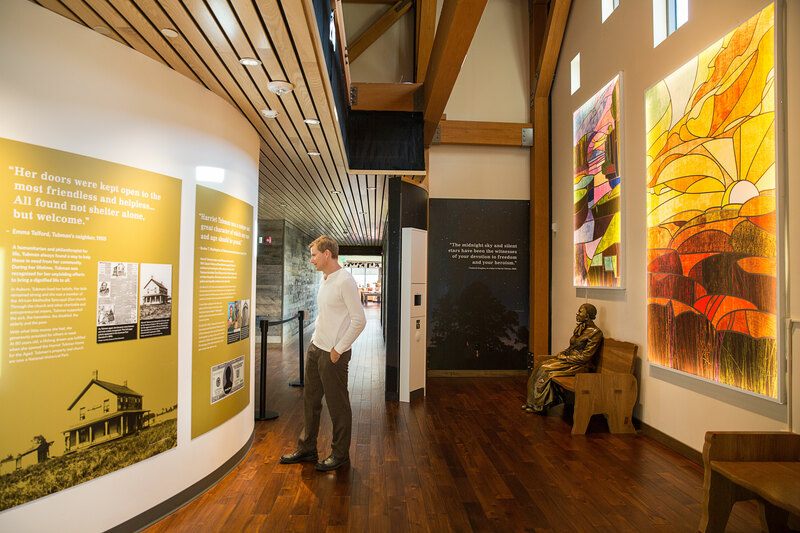 Discover the Oxford, Maryland Museum and learn about the rich history of the Chesapeake Bay. 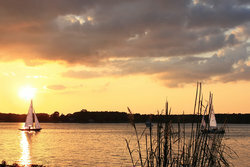 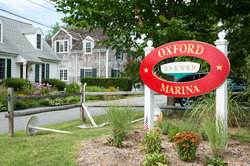 There are several marinas in Oxford, Maryland. 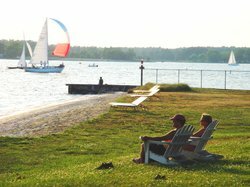 Rent a bike from the marina at Dockside Boat Rentals and explore the local area on such paths at the Oxford Loop between Easton, Saint Michaels, and Oxford. 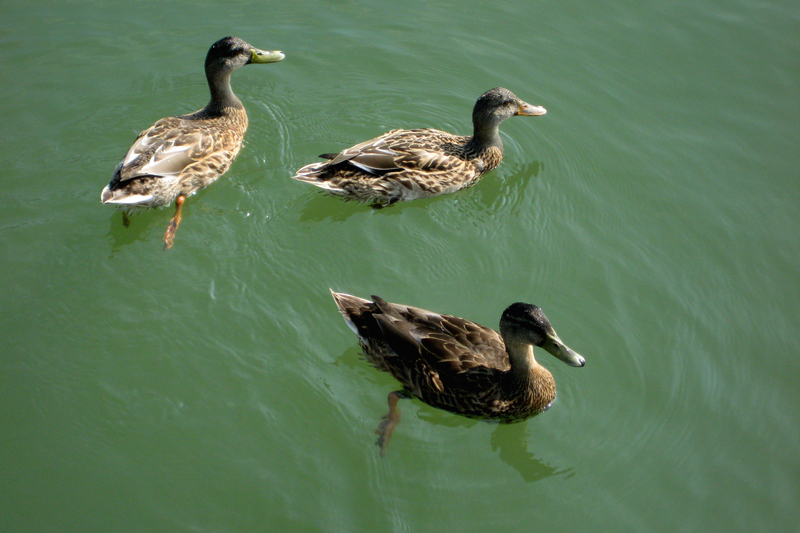 Mallard Ducks and Canadian Geese swim the shores of our private beach.